Janet Jackson has shared the video for the remix of "No Sleeep" featuring J. Cole. The original cut will be included on her upcoming unnamed album. Directed by Dave Mayers, the laidback, late night, R&B jam is set in tony pad. Jimmy Jam and Terry Lewis produced the track. Jackson said in a statement, "I hope u enjoy watching this as much as we enjoyed making it. #NoSL333P." Janet will be touring next year and will be in our area twice. On February 19 in Bethlehem, PA at the Sands Bethlehem Events Center and on February 24 in Philadelphia, PA at the Wells Fargo Center. Tickets are on sale now. 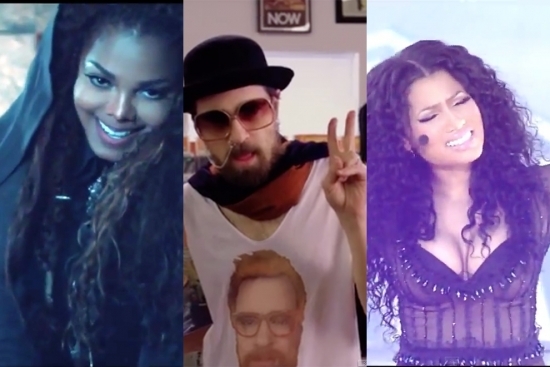 “Anaconda” had such a huge cultural impact, and on top of that, we broke the Vevo record. So this is actually my third time breaking the Vevo record, and “Anaconda” therefore should have been nominated. I do think that if it was one of the pop girls, they would have had many nominations for it. I think I got two nominations for Anaconda — for ‘Female’ and for ‘hip-hop,’ but it should’ve been for the year.